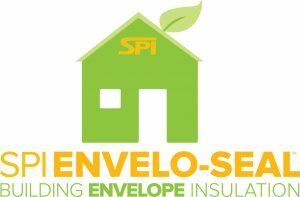 ENVELO-SEAL™ 0.5 OC CLI – Specialty Products, Inc.
ENVELO-SEAL™ 0.5 OC is the “B” component of a two component polyurethane foam insulation system processed at a 1:1 by volume. It has a 0.50 PCF spray in place density. ENVELO-SEAL 0.5™ OC is an open cell, water blown hybrid foam insulation system. This product provides superior energy efficiency and air infiltration control. The product can be used in open wall cavities, crawlspaces, perimeter rim joists, cathedral ceilings, and garage ceilings. ENVELO-SEAL 0.5™ OC is designed as a high performance building envelope insulation system for both residential and commercial construction. Outstanding, seamless air barrier. Improves indoor air quality and occupant comfort. Superior sound control, absorbs mid to high frequency sounds. Increases energy efficiency to help reduce heating and cooling costs. Excellent product yields. Open cell spray foam expands approximately 140 times its original liquid volume to fill the entire wall cavity, sealing all voids and crevices. Contributes to sustainable, green building practices and USGBC – LEED points. Insulation will not shrink, sag or decompose over the life of the building. Rapid order fulfillment and reduced shipping costs from regional facilities: Chicago, IL, Rowlett TX, Lakewood, WA and Anchorage, AK.